Power electronics, drive solutions and automation technology. Fuji Electric is a Japanese brand, with 30 years of experience, built on the foundation of an ecological footprint that is clearly marked by the commitment to reduce energy consumption and carbon emissions in the development of its products. This brand is recognised for the performance and reliability of its products, as well as its cutting-edge technology and global logistics network, which enables it to offer customised solutions in high-energy sectors such as manufacturing, information technology, industrial automation and data and logistics centres. 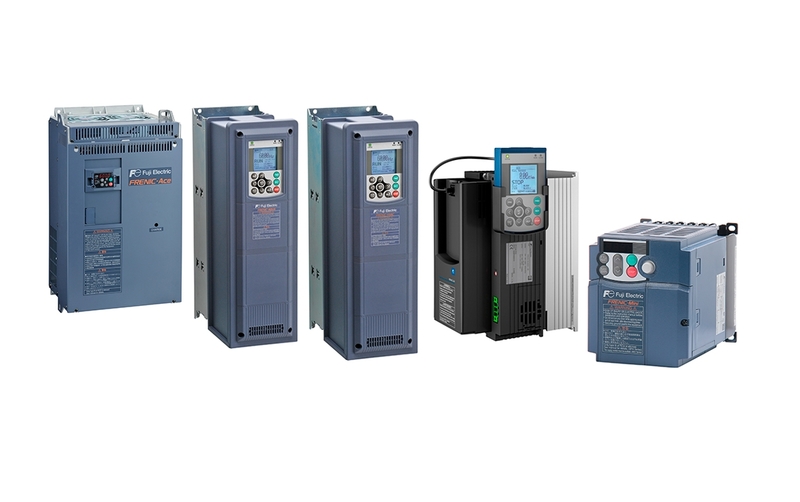 Relative to industry and automation, Fuji Electric is a partner of excellence in the supply of frequency inverters and temperature controllers, which are aimed at the automation, water and HVAC industries. Fuji Electric offers compact, robust, reliable and easy to install inverters. Its models adapt to the most demanding applications and offer a wide range of powers, combining the best performances, such as, vector control, filters, reactance, control of pumps and fans, PID, logical functions, among others. 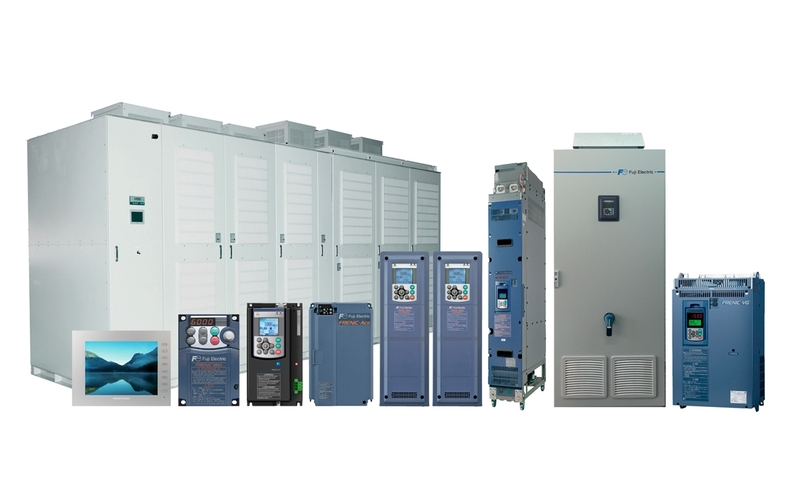 FRENIC-HVAC is a high-performance inverter for HVAC applications, with elevated reliability and specific functions for fans and compressors, with PID control, energy saving functions, PLC logic functions and various communication options. FRENIC-MEGA is a multifunction inverter with flexibility and the functionality to support a wide range of applications in all types of mechanical equipment. This inverter comes equipped with a digital safety input, built-in EMC filter, vector control mode, with and without sensor, PLC logic functions and advanced PID functions. FRENIC-Lift is a simple and intuitive inverter that meets all requirements for lifting applications. FRENIC-Ace is a multifaceted inverter, with features that allow its use in almost all types of applications - from pumps and fans to the most demanding machines. This series also has a special model for solar pumping. FRENIC-Mini is an economical, compact, high-performance and universal compatibility inverter, suitable for a variety of applications, such as: conveyors, pumps, fans, centrifugal separators and food processing machines. FVR-Micro is an economical, simple and compact inverter, effective in applications that are restricted to small spaces and simple functions. OFuji process controllers have Fuzzy PID control, with auto-tuning, allowing it to suppress the negative effects of overshoot and the external disturbances of industrial processes. 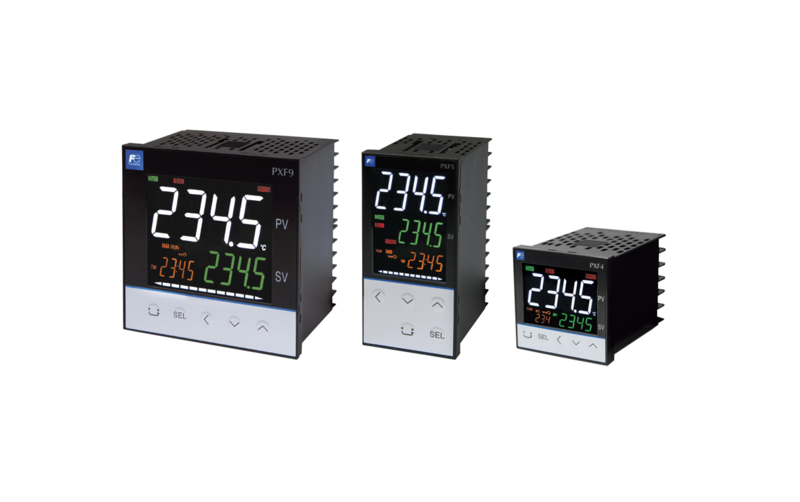 Discover the full range of process controllers from Fuji Electric here.